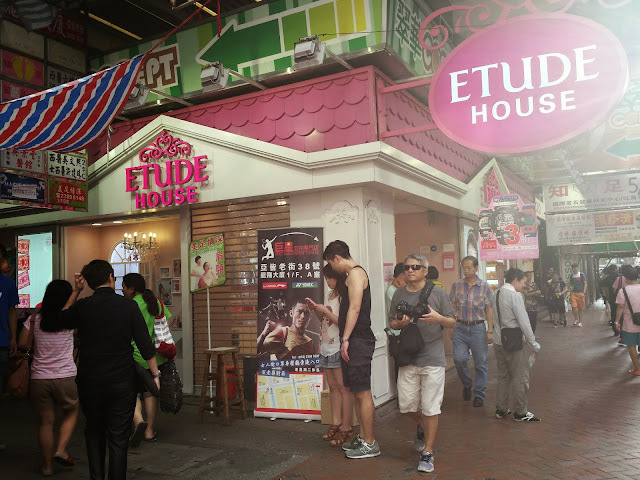 I was going to wait to show the beauty items I bought recently during my Asia trip, but I couldn't wait to show these Etude House items I bought while I was in Hong Kong! 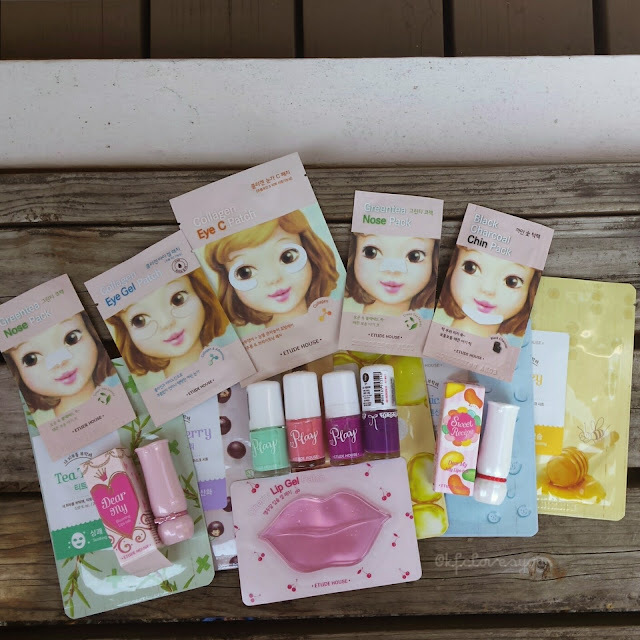 Etude House is a Korean make-up and beauty brand and I have been dying to try them out for the longest time! I am glad I was able to pick up a few of the products to try out. 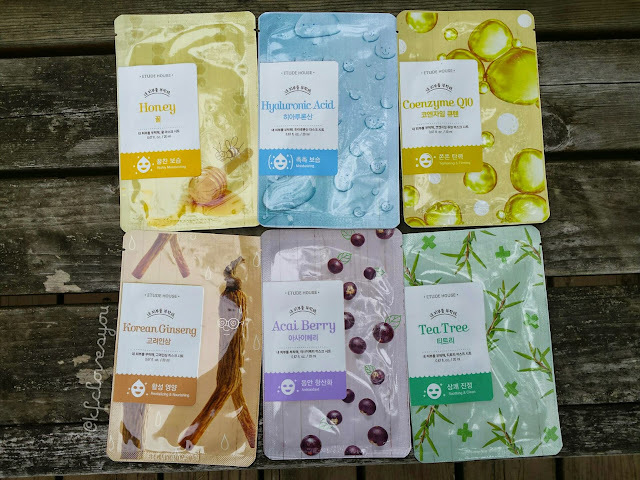 It is a bit hard to find them online on other Asian beauty websites, and even just in the States in general, but I believe they have international shipping on their website so that's cool too (if you live in the countries they sell them, you're super lucky!). I just like personally seeing everything and swatching all the colors in real life, especially for a brand that carries such a range in products! First off, let's look at how cute the little stores are! 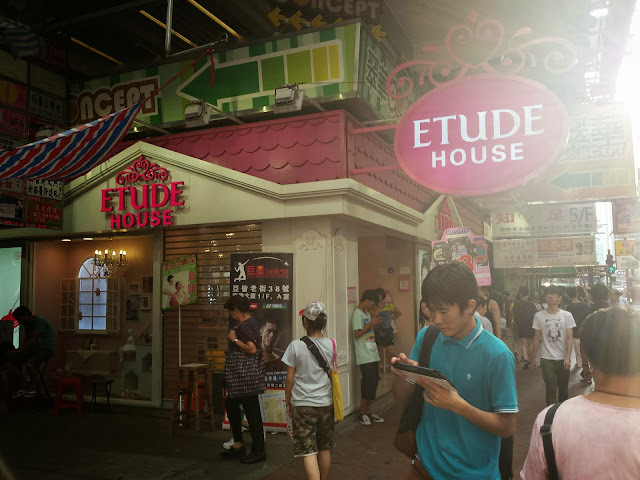 I saw a few of these little pop-up stores throughout different parts of Hong Kong, and they each have their own cute little pink house and of course everything in and out is super girly and pretty! Now onto the actual beauty items! More masks! But a bit different. These are different eye, chin, and nose patches to either help with the appearance or to deep clean those areas. The packaging looked really cute and I figured it be something good to test out since I'm always looking for anything benefiting the eye area or anything to help clean the areas around my nose and chin! As I was moving away from skincare onto the beauty items, I couldn't help but notice their display of nail polishes. The color range is so wide and the colors themselves were all really pretty! 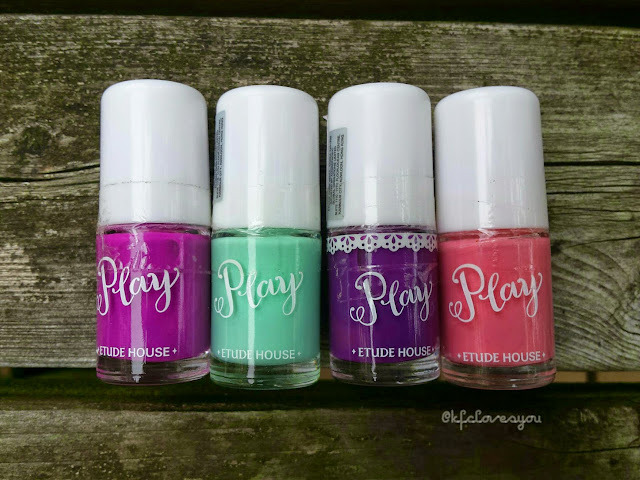 I initially picked two colors up (the minty green and light peach) but then picked the other two purple toned nail polishes later since they were both 50%. Holler! I haven't tried these out yet, but I'm hoping the formula on these are easy to work with! Lastly, it isn't a proper beauty haul for me if I don't pick up at least one lip product! Let's start off with that awesome looking lip patch in the center! 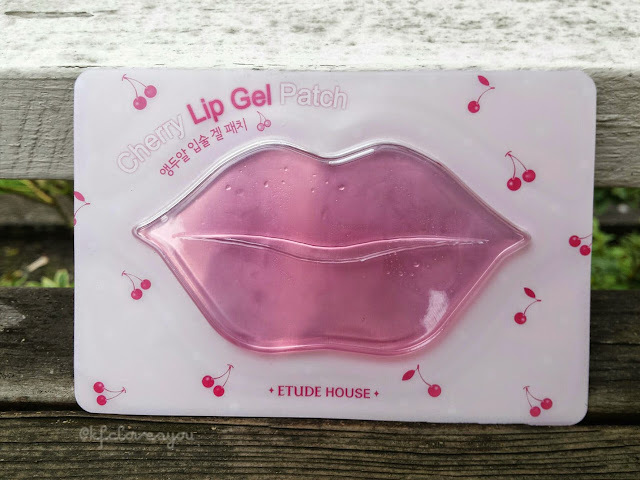 This Cherry Lip Gel Patch was so intriguing, I was going to get it anyways just by the look of it! It is supposed to help hydrate your lips and repair them so they are nice and soft! I really can't wait to try this out and see if it works! But also, I just can't wait to put it on my lips and see how I look like with it on haha!. And of course, the only two lippie products I bought! Etude House has so many different types of lip products from lipsticks, lip glosses, lip tints, lip balms, and many varieties within them that it was a bit overwhelming, plus, the colors were so pretty I really wanted them all! However, I was good and just picked up two lipsticks from two different lines. 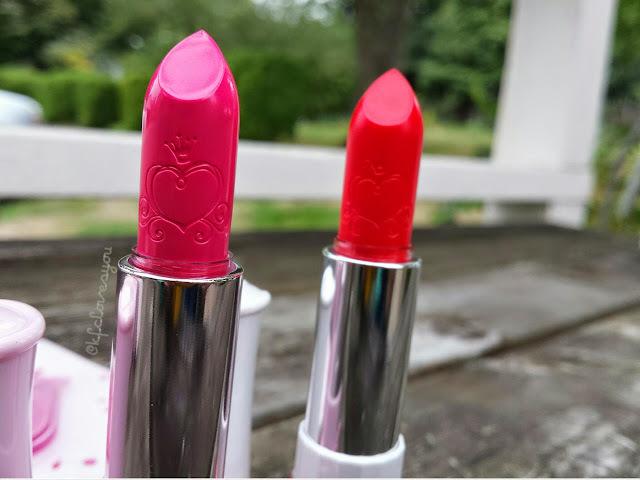 The first one is the Dear My Blooming Lips-Talk formula which is creamy and opaque in a color and I picked up a nice darker pink/fuchsia color. picked up a red-orange color. 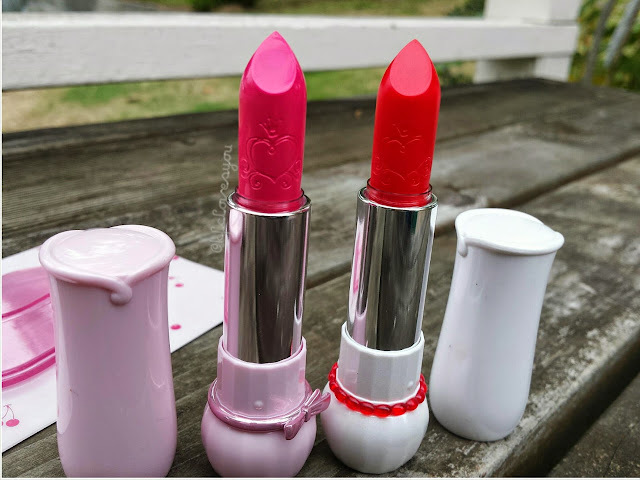 Both of these have gorgeous girly packaging and even the lipstick bullet has part of their logo embossed on it, I mean look at it?! How pretty is that! It reminds me of Cinderella's carriage when she went to the ball =) . I will definitely be doing reviews on most of these products (especially the lippies) so please look out for those. 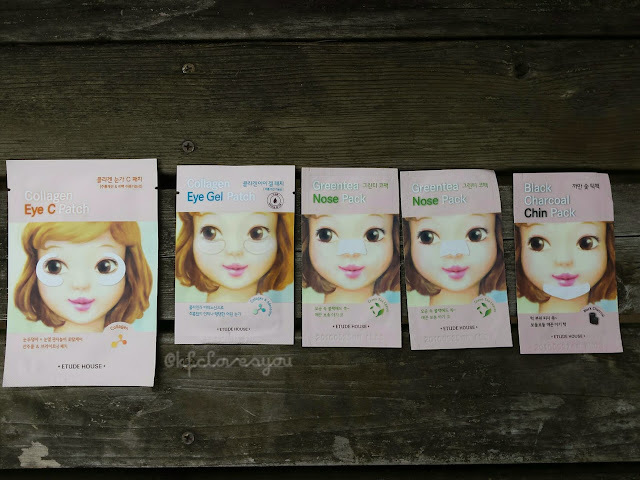 Etude House products are also very affordable, even after you convert it. Even if you buy them online, the prices are super reasonable even with the shipping costs. I hope you guys enjoyed this little haul! 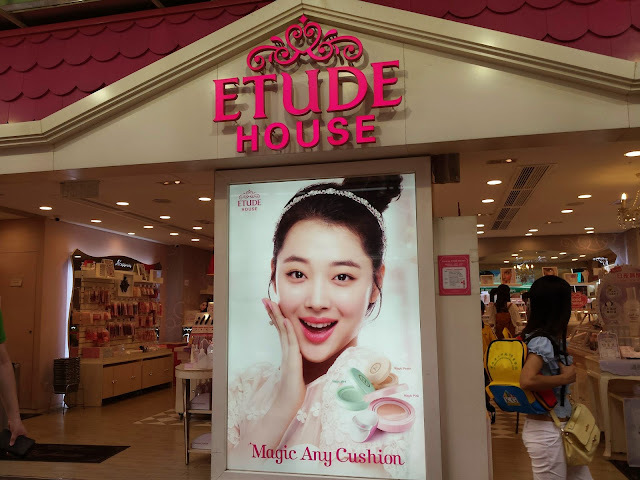 Have you ever tried Etude House products before? What are your favorites?! Do you have any future recommendations (let's be real, I will probably make an online order soon!)? Let me know! I have never heard of this brand before. But the products look really good! 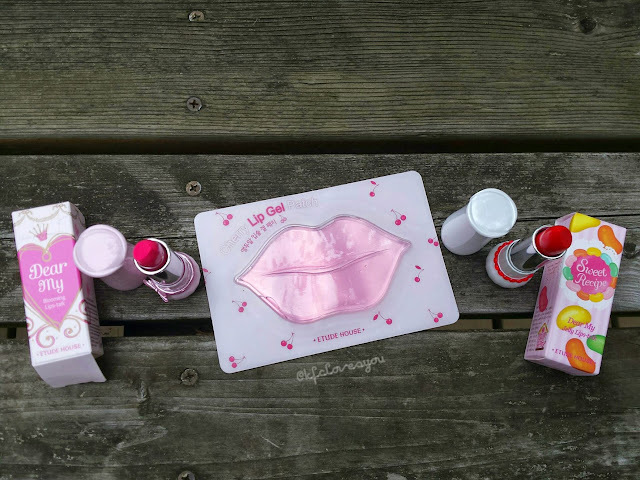 I can't wait to test them out, the lip mask especially! I love the look of all their products!